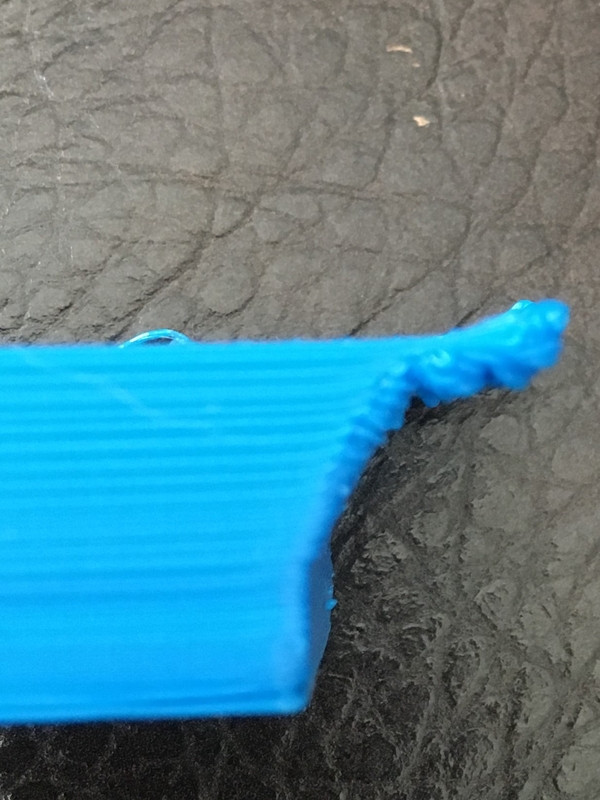 Had a print fail today (see pics)..
That is a 90° overhang. Such overhangs require support whcih you did not have enabled as it looks. You can only print overhangs up to an certain variing degree. For more a support is required. I see, the overhang comes later. Some materials tend to curl up when cooling for overhangs adding the risk of hanging on it. YOu could try better cooling. Once hard it will not curl up so easily.